Escape the enemy's deadly trap! 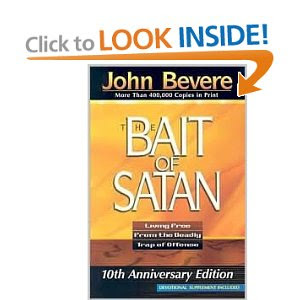 The Bait of Satan exposes one of the most deceptive snares Satan uses to get believers out of the will of God-offense. 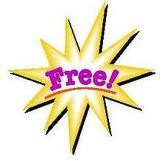 Most people who are ensnared by the bait of Satan don't even realize it. Don't be fooled! You will encounter offense, and it's up to you how it will affect your relationship with God. Your response will determine your future. If offense is handled correctly, you will become stronger rather than bitter. In this tenth anniversary edition of his best-selling book, John Bevere shows you how to stay free from offense and escape the victim mentality. With more than 400,000 copies in print, this book includes testimonials of transformed people who have read copies in print, this book includes testimonials of transformed people who have read the original book and a devotional supplement, featuring discussion questions, scriptures, and prayers. Why am I compelled to tell "my side" of the story? How can I fight thoughts of suspicion or distrust? What can I do to stop rehearsing past hurts? How can I regain trust after someone deeply offends me? This book will help you escape the enemy's "offensive trap" as well as empower you to stay free of offense, enabling you to have an unhindered relationship with God.